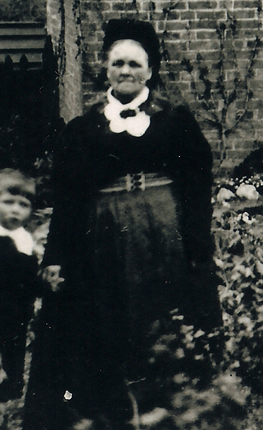 Unravelling the puzzle of my 3x Great Grandmother’s parents. My paternal 3x Great Grandmother Caroline Clarke, had presented me a problem for many years, but 2009 appears to have ended the mystery of who she was and where she came from. After deciding to unravel the mystery of where ‘Watchfield’ might be, I posted a message to RootsChat.com and was soon replied to by ‘DebbieG’ who gave me information from the 1841 census of Botesdale. At first glance, I noticed that the two Clarke children were motherless and therefore wondered how they could possibly be the right ones. Having said that, in 1859, at Caroline’s second marriage to Robert Coe, an ‘Edward Clarke’ is one of the witnesses. So, so far, there was one connection. Next up, Botesdale (Suffolk) is close to Wattisfield – a place I’d been meaning to check out due to its similarity to ‘Watchfield’. I decided that I needed to try and find some baptisms for the Bailey children and this soon threw up a marriage on 8th November for William Bailey and Mary Clarke. I then found baptisms on Ancestry.co.uk for Caroline Clarke (1835) and Edward Jarman Clarke (1837) with the mother named as Mary Clarke (no father named). I then found that William had been married to a Sarah (and found several of their children in baptism records). This left Ellis Bailey as the child that Mary Clarke had with William Bailey. The lack of Mary on the census suggests that she had died between 1839 and 1841 but her exact death date currently remains a mystery. I’d often looked at the census search results for 1851, looking for Caroline Clarke, just 4 years before she married my Gt Gt Gt Grandfather Thomas Howlett at Mildenhall, Suffolk… yet found nothing. Again, RootsChat.com found a solution for me when a ‘Caroline Bailey’ born in ‘Watchfield, Suffolk’ appears on Mildenhall as a house servant to Mr Flowers. Looking to Botesdale in 1851, seems to show that Mr Bailey may have died, and finds his daughter Louisa in the workhouse with Edward Clarke. As for Caroline, well, in 1855 and 1859 she names her father as “Alfred Woods“. In 1855 he is ‘deceased’ but by 1859 he’s become a publican (how’s that for ‘serving spirits’??!). Question is, did Caroline know who her father was and was unashamedly naming him… or was the name just made up? Did her mother know? That’s something I’ll never know too.